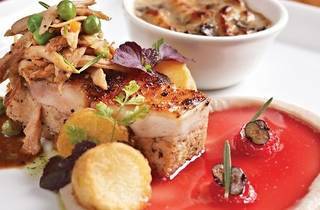 Enjoy a four-course set dinner starting with a trilogy of sea scallop, ravioli in Italian sausage broth, cured salmon flake and crispy pear salad. This is followed by a gnocchi of sweet potato in olive oil with toasted walnut, garlic flakes, seared Wagyu beef, arugula salad and Parmesan. 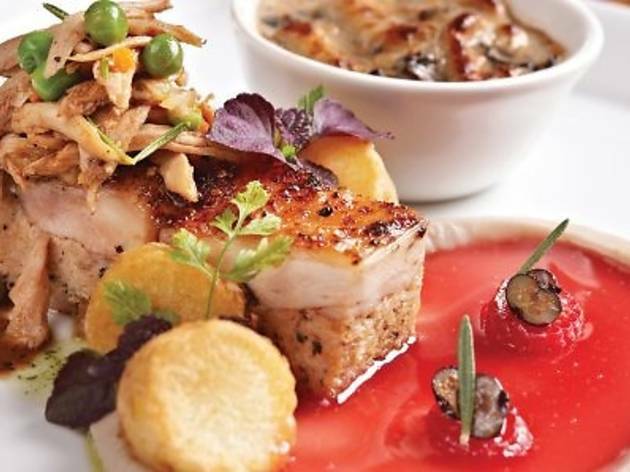 Your main course is a choice of either the crusted barramundi with an olive tapenade or the braised oxtail in bell pepper coulis with a mousse of celeriac and a bresaola wrapped confit of quail, onion Fondue and eggplant mille feuille. To top off the meal, enjoy a butterscotch ice cream sandwich with peach compote and warm chocolate fondue.